FILOMATHIA Greek Language Centre will participate in the SALON DES VACANCES International Tourism Exhibition, Brussels, 7th-10th February 2019, under the umbrella of the National Tourism Organization of Greece (EOT). The exhibition will be held at Brussels Expo Centre and we will be found in the Greek Booth, Hall 5, (Booth no. 5230). 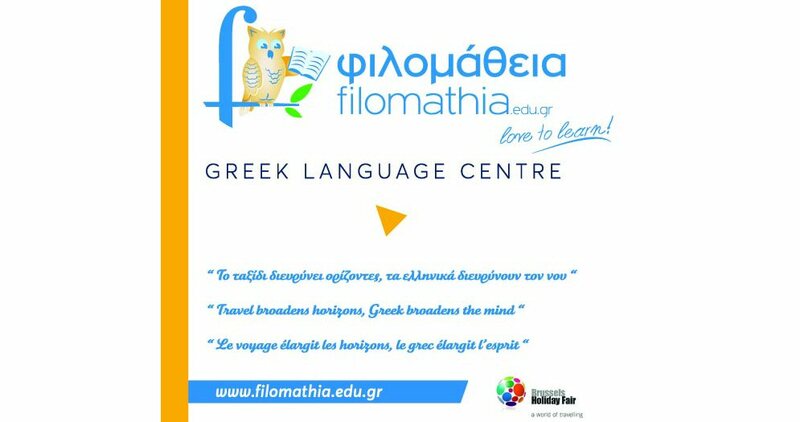 © Copyright 2019 Filomathia Greek Language Centre in Crete Greece. All Rights Reserved. Powered by Art@Net. Web design, development and services.